Mr. Freshwater, president and co-founder, in 1970, founded David A. Freshwater Well Service and later Petro Services, a well servicing company. In 1974, Freshwater teamed up with Mr. Reeves Lewenthal, a U.S. art pioneer turned oil and gas developer, to lease and develop oil and gas properties. Between 1975 and 1981, they and, Richard L. Mann, a partner backed by New York Investment Bank, Allen & Company, drilled several hundred wells throughout the Appalachian Basin. In 1981 the three merged to create Allegheny Western Energy Corporation, a publicly held company. Freshwater became vice president of well servicing operations. The company later became larger with their purchase of Columbia Gas of West Virginia, and today known as Mountaineer Gas. 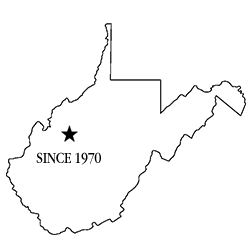 With over 6,000 miles of pipeline Mountaineer Gas became the largest gas utility company in West Virginia. Freshwater had the opportunity and re-purchased the majority of the Petro Services equipment, and today continues the company as ConServ, providing contracting services to Reserve Oil and Gas, Inc. and to other companies. Mr. Freshwater is president of Essex Energy Investments, Inc., and is a managing member of Handi-Mart, LLC convenience stores, Maple Hills Holdings, LLC real estate, and Apollo Air, LLC, West Virginia companies, and also served as a Board Member of the First Neighborhood Bank of Spencer for 21 years and as a governor appointed commissioner to the West Virginia Parkways, Economic Development and Tourism Authority. Freshwater is also a US Army Vietnam Veteran, a member of the Sons of the American Revolution (SAR), a Guardian Member of the Boy Scouts of America, and a recipient of the Silver Beaver Award. He was named Roane County (WV) Citizen of the Year in 2008. Mr. Freshwater’s hobbies are: reading old books, motorcycling, and flying his Cessna King-Katmai. Serves as Vice President of Reserve. He began his work career in 1987 working in the field on well servicing, pipeline construction, and well cementing projects. From 1989 to 1995, he attended West Virginia University and received both a BS and MS in Civil Engineering while working summers and completing an internship with Columbia Gas / Columbia Gulf Transmission Corporation. Freshwater returned to ConServ (an energy and environmental contracting services firm) on a full time basis in 1996, directed the diversification of ConServ into the environmental contracting services arena, and increased ConServ’s area of operations to encompass the eastern US. His technical expertise coupled with his extensive field experience in all facets of the energy resources industry has prepared him to lead the long-term growth of Reserve. He currently serves on the Board of Directors of First Neighborhood Bank, is the Immediate Past President of the Allohak Council (which encompasses central WV & eastern OH) of the Boy Scouts of America, a recipient of the Silver Beaver Award, and is a member of the Mountain State Chapter of the Young Presidents Organization (YPO). He is also a member of the Board of Directors of the Independent Oil & Gas Association (IOGA) of WV where he serves as Chair of the Communications & Education Committee. Freshwater has been recognized by the State Journal as a “Generation Next: Forty Under 40” recipient in 2008 and was named a 2014 ‘Young Gun’ by WV Executive Magazine. Currently serves as Corporate Secretary for Reserve Oil & Gas, Inc. Primary responsibilities include investor relations and budgeting / financial planning. She attended West Virginia University and Fairmont State College and graduated with a BA in Business Administration in 1990. From 1991 to 1998, she was employed as an administrative assistant with Shadwell Farm, Inc. in Lexington, KY. From 1998 to 2005 she was employed by Traders Bank in Spencer WV, where she was a loan officer (commercial and consumer) and financial analyst. From 2005 to present she has been employed by Reserve Oil & Gas, Inc. of Spencer, WV. Since 2007 to present Mr. Douglass has served as Reserve Oil & Gas, Inc. land manager. From 1996 to 2007 Mr. Douglass served as Executive Director and General Counsel of West Virginia Board of Pharmacy. From 1992 to 1996 he served as Assistant Attorney General of the West Virginia office of the Attorney General. He has also served as a former contract advisor / agent for the National Football League and the Canadian Football League. He attended West Virginia University where he received a Political Science and a Law Degree. Mr. Garrett serves as Superintendent of Field Operations. Mr. Garrett, in 1988 started working for CSI (predecessor to ConServ) working in field laboring positions on oil and gas projects throughout the Appalachian Basin. From 1990 to 1998 he worked for Carl E. Smith Pipeline Company where he advanced from laborer to foreman, and superintendent from 1998 to 2006 on gas transmission pipeline construction projects throughout the Eastern United States. In 2006 to date he has advanced from site foreman to project superintendent for all of Reserve Oil & Gas, Inc. projects.